Complex process control systems need a hybrid control mode, which combines hierarchical structure with decentralized control units. 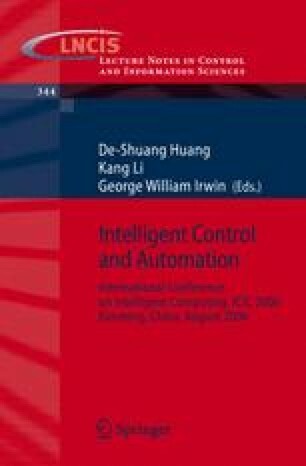 Autonomy of agents and cooperation capability between agents in multi-agent system provide basis for realization of the hybrid control mode. A novel multi-agent based complex process control system is proposed. Semantic representation of a control-agent is presented utilizing agent-oriented programming. A novel temporal logic analysis of a control-agent is proposed using Petri nets. Collaboration relationships among control-agents are analyzed based on extended contract net protocol aiming at the lack of reference . Taken pressure control of recycled gas with complicated disturbances as an application, five kinds of control-agents are derived from control-agent. Reachable marking tree and different transition of each derived control-agent are analyzed in detail. Actual running effect indicates multi-agent based hybrid control mode is rationality and flexible. Temporal logic analysis based on Petri nets ensures the reachability of the systems. Extended contract net protocol provides a reasonable realization for collaboration relationships.